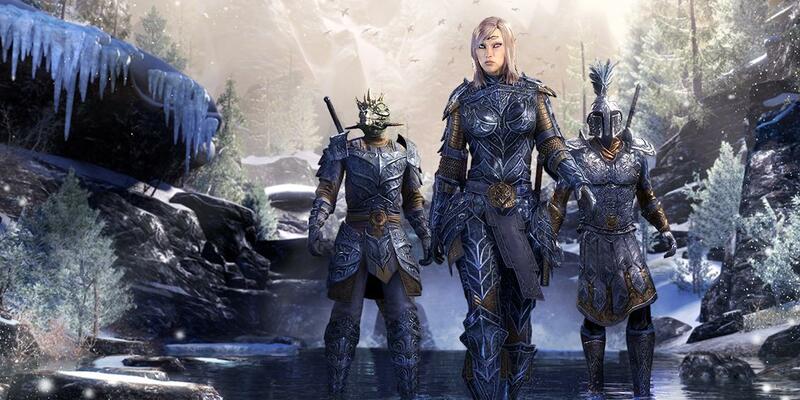 The Elder Scrolls Online Goes Free Temporarily | "DESTROY ALL FANBOYS!" Well. As an Elder Scrolls purist, I’ve resisted the lure of paying for this online only experience for a few core reasons. But thanks to Bethsoft and Zenimax Online’s plans to reel more of us in, I’m going to finally put a few days in and see if I like what’s here. This free trial lasts until 11/20 and is open to PC, Mac and PS4 users. Even more tempting: until 11/29, the cost of the full game drops 67% to $9.89, so it seems this plan may work for both companies after all. Still, my backlog is massive and my time is limited, so I don’t expect to do much over this trial period other than create a character and kick a few tires. We shall see. You Xbox One users griping, fear not. Your very own free weekend is coming soon. Another incentive to play if you’re over 18 and have a valid passport is this awesome contest with some great travel prizes. granted, you don’t have to play in order to enter. But I’m sure that gesture would be appreciated. This entry was posted in 2016, Commentary, DAF, Features, Updates and tagged A WINNER IS YOU, Apple, Bethesda Softworks, Contests, Free Stuff, M-Rated Games, Macintosh, Mature, Online Games, PC, PC Games, PlayStation 4, Playstation Network, PS4, PS4 Pro, PSN, Shut Up And Play It!, Sony, STEAM, The Elder Scrolls Online, The Elder Scrolls Online: Tamriel Unlimited, Valve, VGA 101, Videogame Appreciation 101, Videogame Trailers, YouTube, Zenimax, Zenimax Online by geelw. Bookmark the permalink. I’m also going to try it out while it’s free. And the fact that Tamriel Unlimited is not subscription based I might buy the game while it’s on sale. Since I heard about this free weekend I’ve looked into the game and I’m concerned that it might be a bit on the boring side but hopefully I’m wrong. Well, perhaps we’ll run into each other, lol. I just signed up and am in the process of deciding on a character, so this could take a while… 😀 Ten bucks for the game if you decide to buy it is a steal.